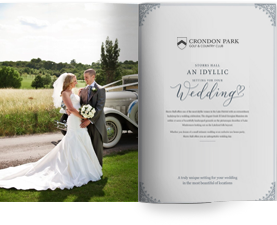 If you’re getting married at a golf club, it makes sense to take advantage of all the facilities on offer. If you want your man to have some really great pre-wedding memories, then why not propose to him something a little different for his stag party? If you’re getting married at a golfing venue, then your hubby to be and his friends, family and of course, his best man can enjoy a few rounds before you say ‘I do’. This means that he’ll be as familiar with the venue as you are, and will be able to have a wonderful day with the men who mean so much to him. Having a golfing stag party is a really nice way for the groom to relax before he heads up the aisle. We all suffer from pre-wedding jitters. After all, it’s the most important day of your life! So what could be better than relaxing with your closest friends and family on the golf course? 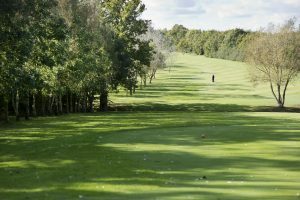 If you’re lucky enough to have a golf course at your wedding venue in Essex, then why not book in a round of golfing in the weeks before the wedding? Having a golf get together before the wedding will help to ease a man’s nerves in more ways than one. Not only will he be able to relax and have fun, but it will give him the chance to get to know the wedding venue too. Now, brides normally take control in the final weeks before the big day, seeing to those final finishing touches and making sure everything is in order. Getting to spend some time at the venue before his wedding day will allow the man to feel more involved. A big event is much less stressful if you’re familiar with the environment – and a wedding is no different. When you think of a stag party, chances are you think of, well, carnage. Not everyone likes to party until the early hours though – and a golf party is a great alternative to that. Everyone can join in, whether they’re eight or eighty. It gives everyone a chance to spend time with each other and reconnect – which will make for a really warm atmosphere on the wedding day. Having a golf day at the wedding venue will also allow everyone to familiarise themselves with the location. That’s vital if everyone is going to get there on time on the day! The groom can see where the parking is, how long the journey takes and factor in anything like traffic or roadworks. So not only will the groom and his party feel more at ease, but he’ll be able to relay any important information back to his fiancée too. As you can see, a golfing day with friends and family is a great way to help a man prepare for the most special day in his life. Whether he makes a weekend of it or just spends an afternoon on the course, your wedding venue will be more than happy to welcome him before your wedding day. So why not create even more wonderful memories and get your wedding celebrations started early?